Pregnancy Help is a pregnancy resource center whose mission is to provide compassionate, practical, life-affirming alternatives for women facing crisis pregnancies. We have been serving women in the greater Boston area since 1973. Many women come to Pregnancy Help feeling totally alone, isolated and abandoned by family, friends and partners. Others have some support but they are confused and frightened about what to do. Whatever a particular woman’s situation might be, Pregnancy Help provides a safe place where she can come, speak from her heart and find the support she needs to make the decision she knows is right for her. 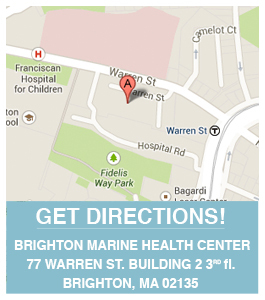 Pregnancy Help assists women at our three locations in Brighton, Brockton and Natick. All our services are free and confidential. Pregnancy Help is staffed by nurses and bilingual caseworkers who have been trained to offer a wide range of supportive counseling, services and referral services. Our services extend through all stages of pregnancy, from pregnancy testing through delivery and into the postpartum period. Clients range in age from high school students to women in their 40’s. We serve women whose primary language is English, Spanish or Portuguese. Pregnancy Help does not perform or refer for abortions. While supported through the Archdiocese of Boston, Pregnancy Help offers assistance to any woman experiencing crisis in her pregnancy regardless of religion, economic background or country of origin. We receive referrals from public and private agencies throughout the Boston Metropolitan area because of our proven record of assisting women in a holistic and supportive manner. Having served thousands of clients over the past forty years, Pregnancy Help has extensive experience with a multitude of problems and concerns that women face when unexpected or unwanted pregnancies occur. Abortion is not the only option when you are pregnant and feel overwhelmed. If you are troubled over how to proceed with your pregnancy, or need more information and services, call Pregnancy Help to make an appointment.